First of all, you will need a good piece of meat such as pork loin. That is always the base for a good meal of course. Everything will fall together after that. 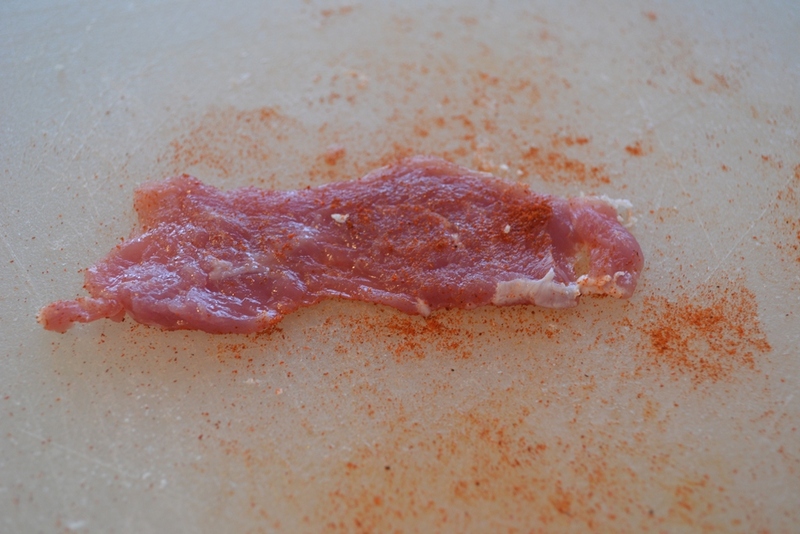 Make sure the slices you cut are not too thin or too thick otherwise your crust will be burned and the meat will be raw. After you cut up all the slices, pound it with a meat mallet. This will soften the meat and thin it out, which will result in a nice Schnitzel. I used a small frying pan to pound the meat because I had no meat mallet. Get out three dishes somewhat deep and fill one with flour, the other with beaten egg, the last with bread crumbs. This will be your assembly line. Spice the both sides with salt and paprika (or pepper if you prefer), then take each slice and turn it first in flour than egg and finally in bread crumbs. 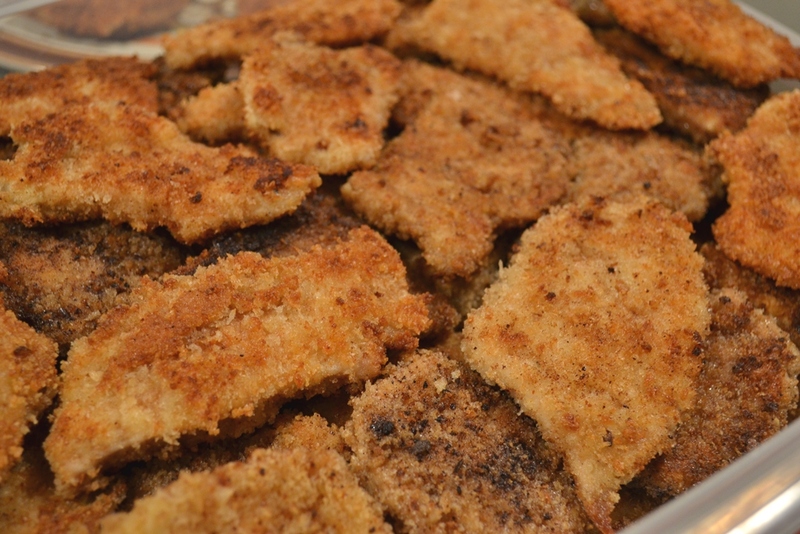 Heat oil in a frying pan and fry your Schnitzel on both sides golden brown. 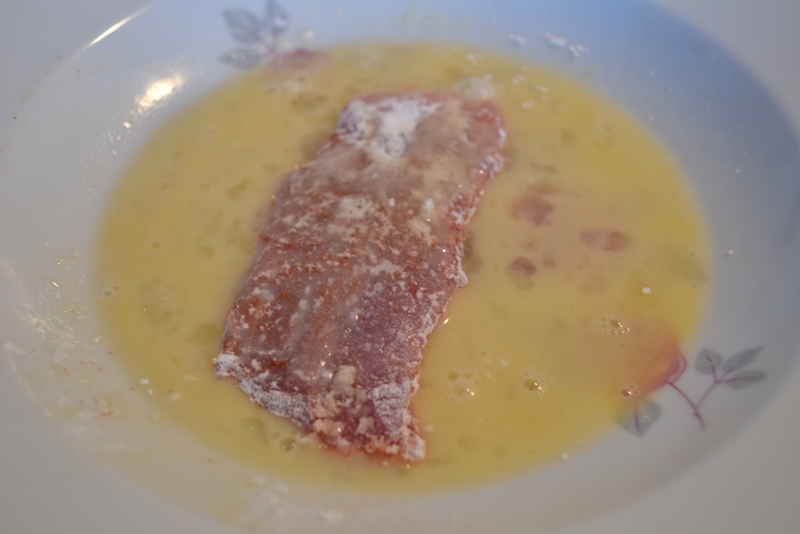 Then put it on kitchen paper to drain the excess oil and voila, you have a Schnitzel. And there are the bread crumbs. 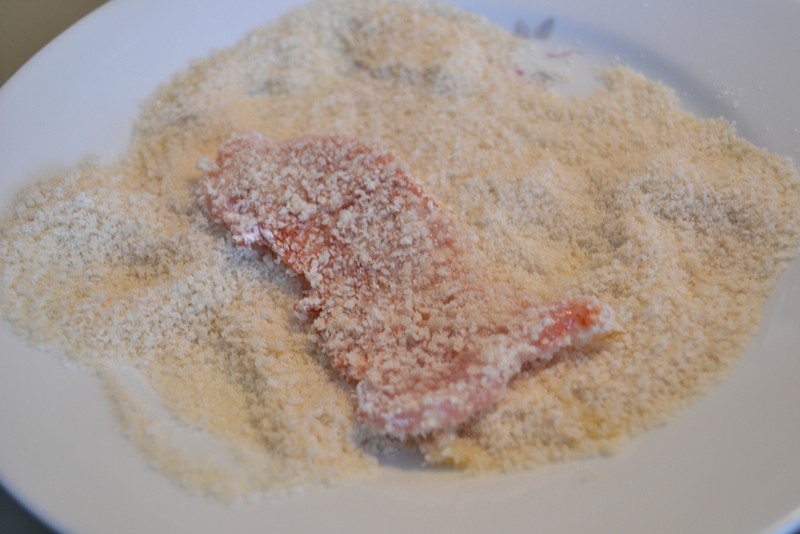 I have to be honest with your, this was the first time I made Schnitzel myself. I turned out pretty good. Ok, I had a basic understanding of what I am suppose to do, so I guess that gives me a certain advantage. I don’t recall my mother making Schnitzel all too often. I think she thought it was too much work. This time I made about 70 pieces, which took about 3 hours. But if you only make 4 or 6 then it shouldn’t be all too bad I imagine. Tip: In Germany you would have boiled potatoes and mixed vegetables with a Schnitzel. Very important: you DO NOT have gravy with it or any type of sauce. It will make the crust soggy, which you really don’t want. 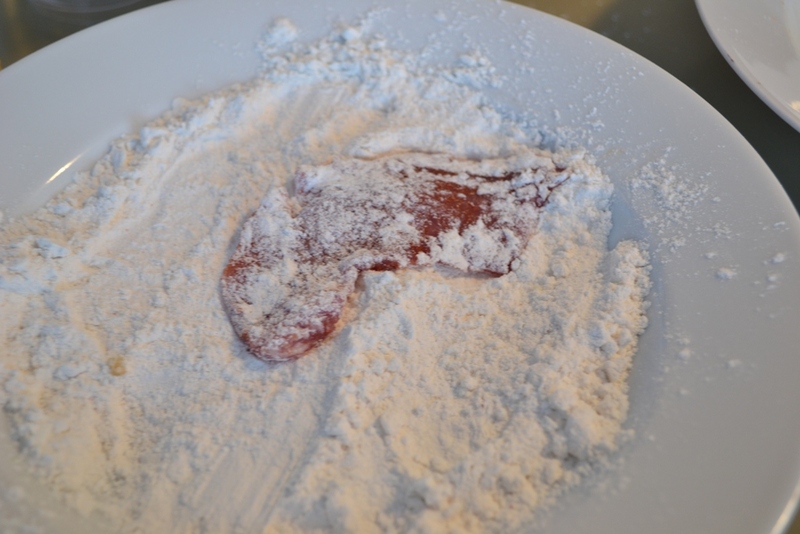 Whenever I make Wiener Schnitzel (usually with veal) the batter tends to “fall off” the meat after I’ve cooked it, if you know what I mean. It cooks nicely and tastes good but it doesn’t bind well to the meat. I seem to make mine in a similar way to you. I wonder what I’m doing wrong? Well, I am not sure. I have heard of the problem but if you are doing pretty much what I am doing then I wouldn’t really know. Dry the meat before you use it. I noticed that while in the pan and flipping sometimes a bit on the edge came off, but not like the whole thing. What do you use as “oil”? Or maybe the pan is too hot? I shall inquire and see if I find a solution. Usually just vegetable oil. I’ll try and make sure the meat is dry first. Thanks! I just asked a friend of mine. She said that it could also be you don’t have enough egg on the Schnitzel before turning it in bread crumbs. Another possibility is that you don’t use enough oil. 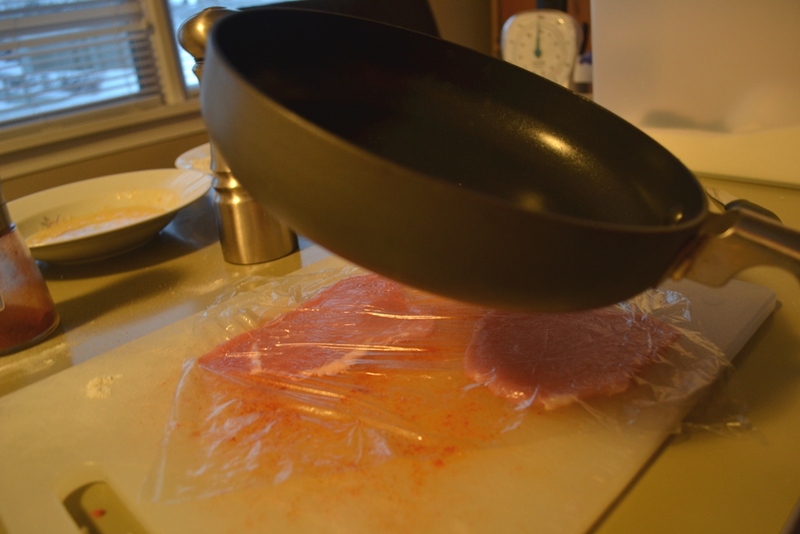 You should use a good amount of oil and put the finished Schnitzel on a paper towel after it’s finished. The paper towel will soak some of the oil up.